Raeez is doing gorgeous, regal juttis that live up to their name, and are perfect for the upcoming wedding season. If you're not a heels person and prefer wearing flats to weddings, these comfy juttis will add some extra glam to your outfits without you having to totter around in high heels. 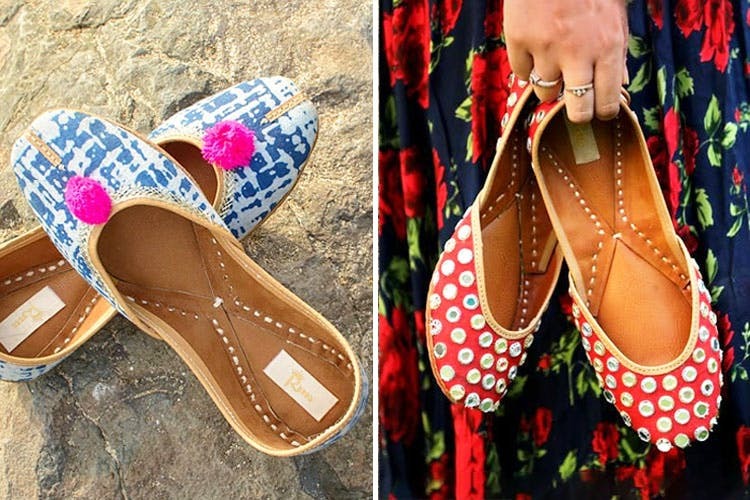 Designed by their studio in Bombay and then sent over to artisans in Punjab, they've combined modern designs with traditional handicraft to create unique, beautiful juttis. What we liked about their collection is that they've got a nice mix of bling and non-bling—they've got glittery sequin work in shades of silver and gold, which'll go well with your suits, shararas and lehngas and they've also got some tasteful, subtle florals and ikat designs too that you can wear on a daily basis. No two designs are the same, so they're winning for that. We weren't too big on their animal prints, but that's just us.